It’s undeniable that 2014 was a great year for local music in Singapore. Our local music scene has been growing dynamically, with acts like Joel Tan (more commonly known as Gentle Bones) topping the iTunes Singapore chart with his single, “Until We Die” in December 2013. The Sam Willows tried their hand at theatre in the Ah Boys to Men musical and ShiGGa Shay garnered over 450,000 views on YouTube with the music video for his song, “LimPeh”. These home-grown acts could not have hit such milestones without the backing of their fans. Having said that, the manner in which fans support local artists changes progressively with time and can be detrimental to local artists. How are fans supporting local artists today? Urbanwire meets some local artistes and Millennial music fans at the *SCAPE Invasion Tour, an outreach programme showcasing local musicians in schools, and polled 30 more Millennials in an online survey, to find out just what they think. There was a time when music only existed in physical copies. People purchased records and CDs. However, our online poll shows that Millennials, otherwise known as Generation Y, are not as inclined to support artistes by buying their music. Only a mere 35% of participants have purchased local artistes’ music. Growing up in an era where illegal downloading is rampant, this generation is used to getting free music and insists that it remain free. When they do buy it, it’s a gesture of extreme support and symbolic patronage because they respect and connect with the artiste. 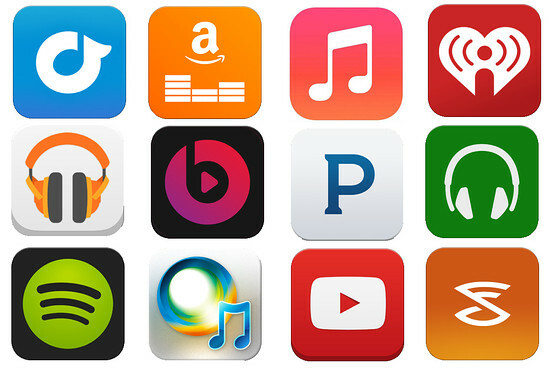 But with the introduction of music streaming platforms such as Spotify, 8tracks and Soundcloud, Millennials no longer have to download music illegally. However, artistes seem apprehensive of the new streaming trend. “But I hope they enjoy it. It’s not going to be as high quality as iTunes but if they like it, it’s cool,” the 21-year-old adds with a nonchalant shrug. We constantly access technology, with many living and breathing through social media. The ease in which information is transmitted from artiste to fan and fan-to-fan makes it unsurprising that most of us not only discover local music on social media, but also share or post about local artistes. “Following them on Instagram and liking their photos gives them emotional support too,” adds Chloe. It looks like the root of the problem lies in Singaporeans’ lack of motivation to buy local music or pay for entry to gigs. A likely cause is that many ‘fans’ don’t see enough value in the art and do not fully appreciate it enough to fork out money to fully experience it. Bottom line – if you claim you’re a fan then act like one. Put your money where your mouth is! Jointly presented by *SCAPE’s music programming pillar, *SCAPEmusic, and Invasion Singapore, the tour will feature a series of music events that are going to invade and rock the hall of Singapore schools! Starting from 22nd April, the *SCAPE Invasion Tour began it’s 32-stop run; visiting Secondary Schools, Junior Colleges, and Institutes of Higher Learning. The tour will end off with a mega *SCAPE Invasion concert in August, featuring all your favourite local acts!